Are you, like me, a huge fan of Ernest Cline’s Ready Player One? Are you going to see the movie? Well, abandon all memory of the book, all ye who enter here. 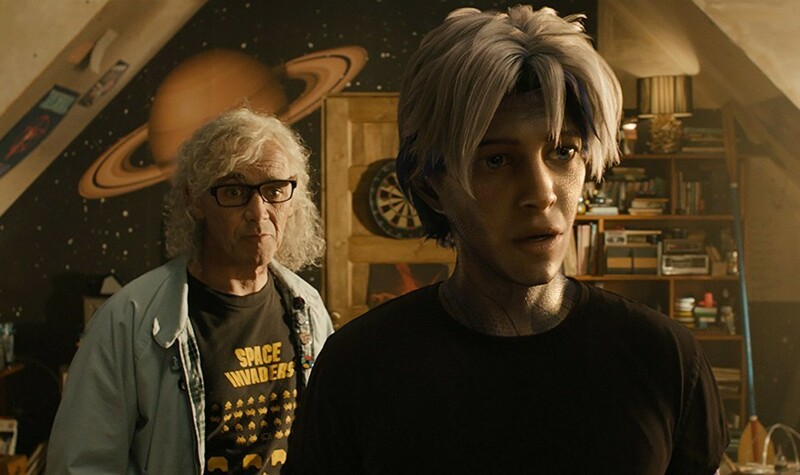 The filmmakers behind this week’s major release Ready Player One, including King of the Hollywood hill, Steven Spielberg, understandably had to make some major changes in the story in order to fit it into anything approaching two hours. Certainly those who haven’t read novelist Ernest Cline’s new classic will enjoy it more, but diehard fans of the book can dive into the adventure too, as long as they let go any expectation of it following the story, and even much of the characterization, they know. I am one of those diehard fans of Cline’s near future sci-fi book. It follows eighteen year old Wade Watts as he navigates life in a dystopian world of 2045 in the ‘stacks’ (the slums of the future). He is one of millions of “gunters” trying to decipher clues left by James Halliday, the inventor of the Oasis, a virtual reality universe in which most of the near-starving populace spend their waking hours. Upon his death, Halliday released a recording announcing he’d leave the billions he made, and the company running the Oasis, to whoever finds an “Easter egg” he’s hidden somewhere inside the Oasis. There are three keys that unlock clues and lead to the egg, but knowledge of Halliday’s favorite subjects of film, computer games, and general pop culture of the 1970s and 80s are essential to solving his riddles. These gunters, slang for egg hunters, compete against each other and the evil IOI corporation, who all want to win the money and control of the Oasis. Nearly all of that basic premise remains in the film, with the exception that the focus on the 70s and 80s is expanded to encompass all pop culture. What is changed is all the specifics of the hunt, and many aspects of the story and characters involved. Time and events are truncated, sometimes to the detriment of character development , and the clues and musical and film references are almost all completely different. However, as it plays onscreen, Ready Player One is great fun, taken solely for itself. Where the film excels is in the realigned version of how the characters interact, especially in real life. Those who don’t know the original story, and those who do, but can let it go, will really enjoy the screenplay’s version of clues and adventures. In fact, upon consideration, they represent great problem-solving and often prove to be quite inventive. For example, in the movie, the first key relates to a physical race inside the Oasis. Since no one can get to the second key before obtaining the first, once they solve the riddle of the first race, the speed with which they solve the second and final keys makes more sense. There are a number of other changes that work, including switching who performs what actions, but in the interest of avoiding spoilers, they’ll have to be discovered by seeing the film. The hunt’s scoreboard is topped by the “High Five”, which includes Wade’s Parzival (Tye Sheridan), Art3mis (Olivia Cooke), Aech, (Lena Waithe), Daito, (Win Morisaki) and Sho (Philip Zhao). While their personalities are not developed nearly as well as in the book, the audience will still grow to cheer for their separate and collective successes. Changed too is Halliday’s partner Og, (Simon Pegg) and how he figures in the story, but his role in the proceedings still proves satisfying. The bad guy, IOI’s head honcho and murderer-in-chief Nolan Sorrento (Ben Mendelsohn) is a bit more three-dimensional as acted and written here, and Mendelsohn is up to the challenge. As with his Oscar-winning performance in Spielberg’s recent Bridge of Spies, Mark Rylance is transformative. He makes Halliday, who is essentially a sci-fi Willie Wonka, into a charming, often heartbreaking, unintentional loner. His portrayal is what gives the movie its heart, and what will have people, even as they think it’s for the adventure, coming back to see the movie again. As offering movies with heart is what Spielberg does best, he is blessed to have the actor in his cast. Rylance, who has won nearly every award on stage and screen, truly is a treasure on par with Halliday’s egg. What doesn’t work is an improbably expedited romance that nearly derails the entire movie. A few tweaks to the story would have fixed that, so it’s unfortunate. Gratefully, it’s a bump that leaves a small bruise in an otherwise transporting and worthwhile ride. Much like the many film in which Spielberg is “Capra”-talizing on our emotions, which he has done with films from E.T. and Close Encounters to the more recent A.I. and The BFG, the imperfect yet highly watchable Ready Player One will be something movie lovers will go back to again and again to find comfort in his particular brand of escapist cinema.